It’s been a little over six month since Windows 8 launched for consumers. How’s it doing right now? If you listened to the critics and pundits you’d be under the impression that Windows 8 was a flop – another Vista most of them joke. Because we all know Microsoft can’t make two good operating systems in a row, right? I disagree! Today we learn that Windows 8 is on pace to catch up with Windows 7 sales-wise, plus more interesting facts and figures. 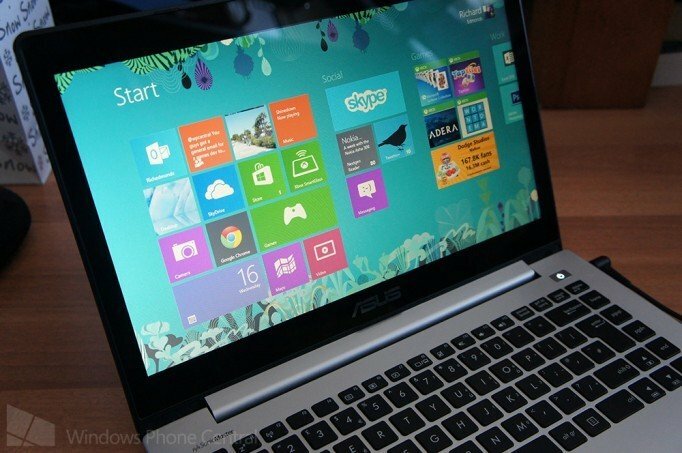 How has Windows 8 performed in 2013? Back in early January we learned that Microsoft had sold 60 million Windows 8 licenses. Now remember, everyone is comparing Windows 8 against Windows 7. It took 183 days for Windows 7 to get to the 100 million mark for licenses sold. Windows 8 has finally hit 100 million as well. It took 192 days to get there, which isn't too far off from its predecessor. Tami Reller, Chief Marketing and Chief Financial Officer at Microsoft, shared some more stats and nuggets of information on Windows 8 in a Q&A for the Windows Blog. She went on the record acknowledging the existence of Windows ‘Blue’. This is the second time we’ve heard some info on the future update to all of the services and products from Microsoft. Tami didn’t really add anything new to information surrounding Blue - just the usual PR talk about the update incorporating customer feedback and the blood of virgins. Well, maybe not so much blood. We’re still in the middle of Microsoft executing their vision of three screens and a cloud. We’ve got the next Xbox right around the corner to tackle the living room. And //BUILD/ should give insight into future plans for both Windows Phone and Windows 8. Exciting times! Six months after Windows 8 launched, Microsoft looks to be in a fairly solid position. If this is what the “post-PC” era looks like, I like it. Sound off with your thoughts and opinions in the comments below, armchair analysts.